A distinguished actress of the US stage, Collinge, of Irish-American background, made her London debut at age ten and was performing on Broadway by the time she was 14. Primarily a character actress, she also played leading roles, and won considerable acclaim for her heartfelt, nuanced acting. Collinge did not enter films until she was nearly 50, when she reprised her stage role as Aunt Birdie in William Wyler's strong adaptation of Lillian Hellman's blistering 1939 Broadway triumph, "The Little Foxes" (1941). Despite competition from a brilliant cast headed by Bette Davis, Herbert Marshall and Teresa Wright, Collinge etched an unforgettable portrait of the genteel, hapless, emotionally abused member of the predatory Giddens family. Indeed, she almost stole the film in her most memorable scene, in which Birdie admits that her headaches are faked and her alcoholism an escape from her intense loathing of her own husband and son. Collinge justly received a supporting Oscar nomination for her performance, and subsequently made very occasional film appearances during the 1940s and 50s. 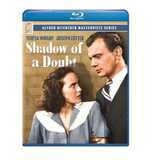 Probably the most vivid of these was her second film performance, that of the wholesome, dithery, unsuspecting sister of the "Merry Widow" murderer (Joseph Cotten) in Alfred Hitchcock's superb "Shadow of a Doubt" (1943). Later films were more routine, but she invariably did her best by them. Collinge was part of a houseful of WWII working women headed up by Ginger Rogers in "Tender Comrade" (1943) and she gamely supported Gary Cooper in the misfired farce "Casanova Brown" (1944). Typically cast as placid, sincere and sympathetic types, Collinge also performed in Fred Zinnemann's touching "Teresa" (1951) and in TV anthologies including "Love Story" (Dumont, 1954) and "Star Tonight" (ABC, 1955-56) before making her last film appearance as Sister William in another film for Zinnemann, the sterling "The Nun's Story" (1959). First film as actress, "The Little Foxes"
First film in color, "Casanova Brown"
Last film, "The Nun's Story"